The W is the non-profit, NGO that regulates the technologies used to run the World Wide Web. Hence the name. These technologies, HTML, CSS and DOM are the building blocks of every website that you use. The W is currently considering a proposal for something called Encrypted Media Extensions (EME). 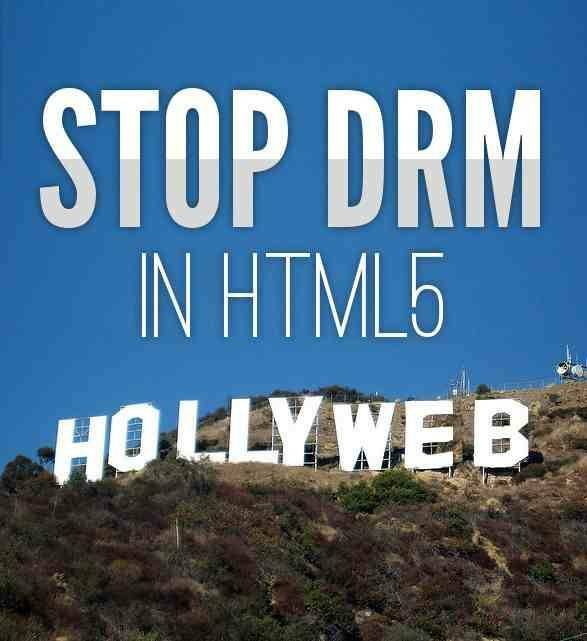 EME proposes the inclusion of support for strong Digital Rights Management (DRM) within the most recent version of HTML, the core language of the Web. They are currently aiming for. Help them out, it only takes a couple of seconds to add your voice.